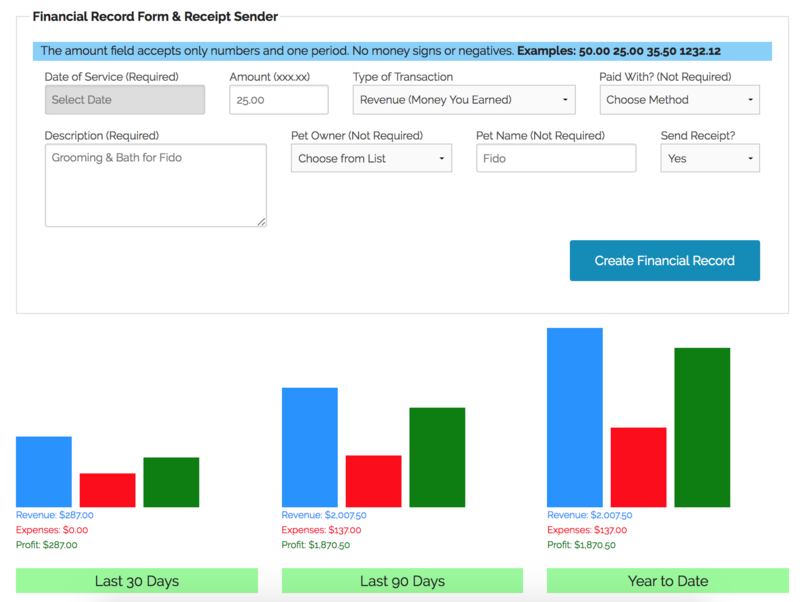 What good does business software do if you can't keep track of financials? DoggieDashboard helps businesses owners see where they're making money, where they're spending money, and how much their monthly and yearly profit will be. If your business works with an accountant, you can simply export your financial data and email the spreadsheet to your accountant when you do your taxes at the end of the year.